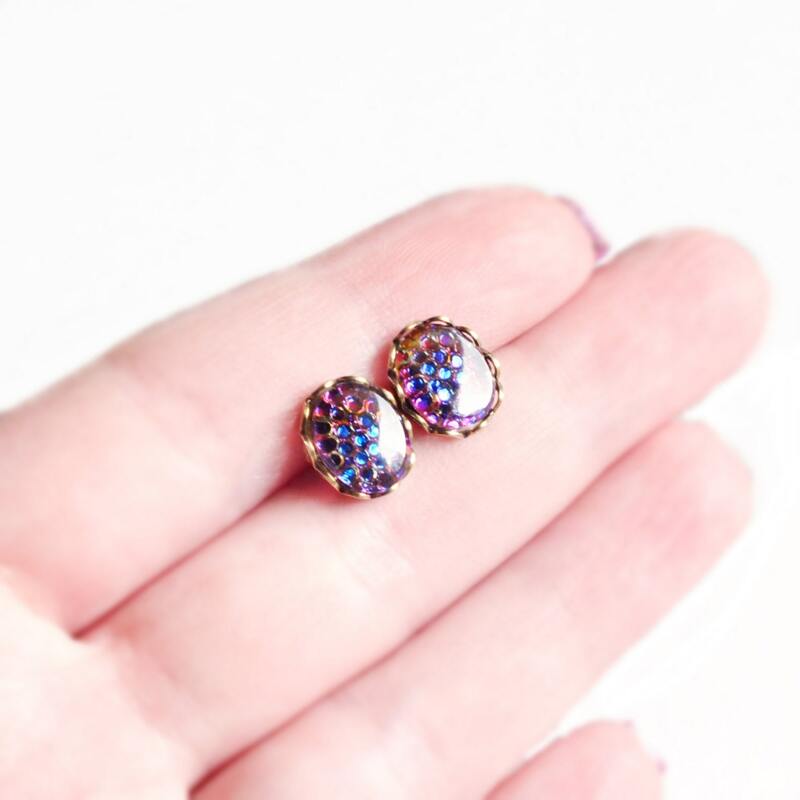 Handmade iridescent purple post earrings with small vintage fish scale glass cabochons. 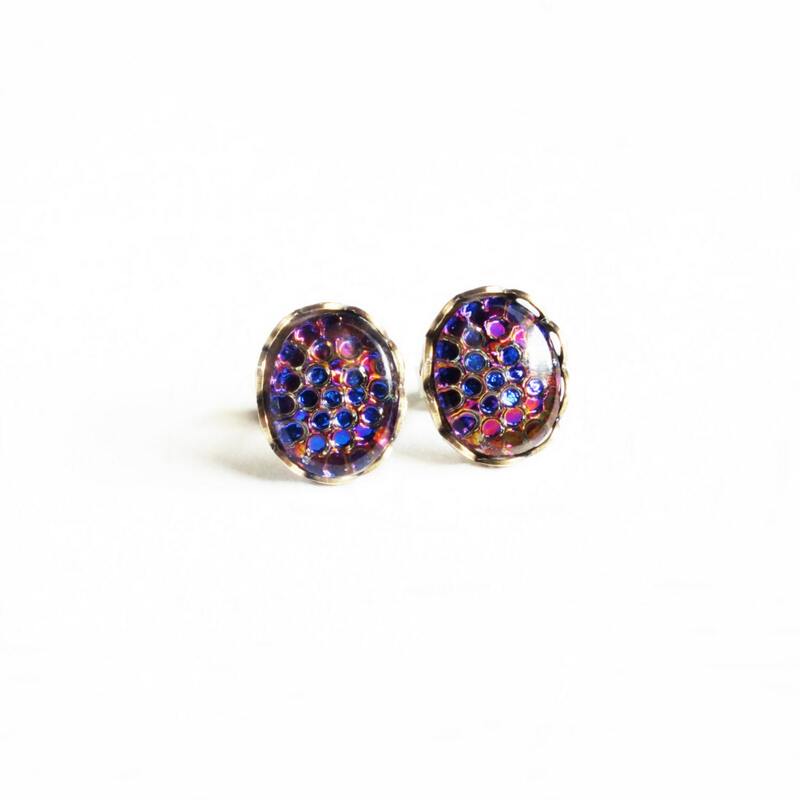 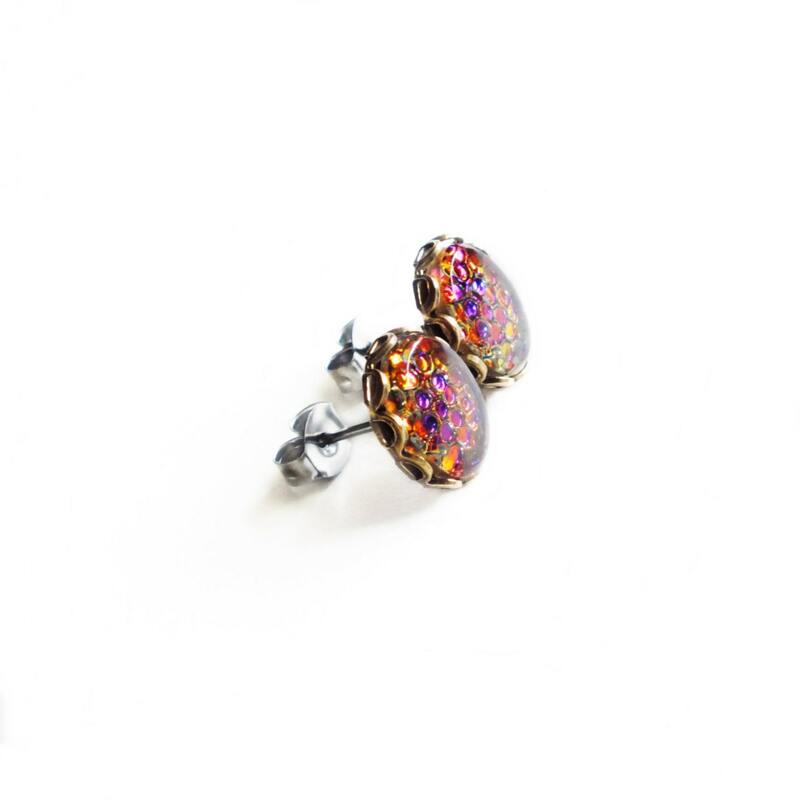 Made with stunning ultra rare vintage 'Thousand Eyes' glass stones with an iridescent palette of magenta, purple and sapphire. The effect is from the etched and coated under-surface. 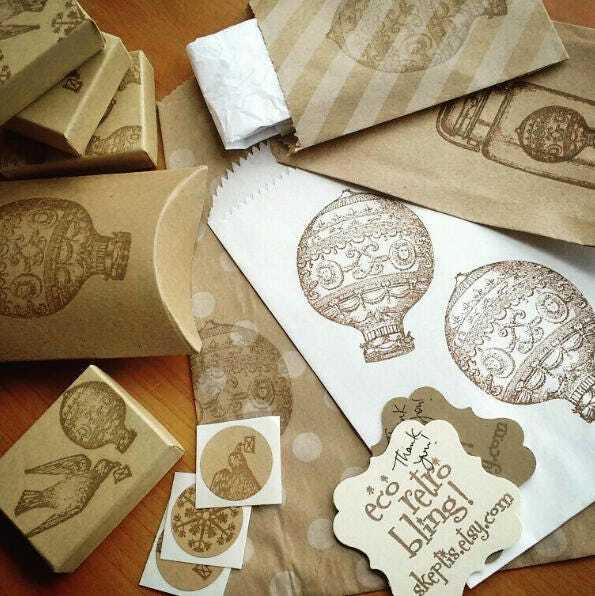 I set them in antiqued brass lacy settings secured to silver toned hypoallergenic posts.